When the Internet and Mobile Association of India (IAMAI) and Kantar IMRB said in a report that the number of mobile users in India is expected to reach approximately 500 million by June 2018, it meant that the number of people using mobile phones in India is more than the entire population of some countries. A large chunk of these users owns a smartphone leading to a surge in data usage and Internet access through mobile. More and more Indians today are making use of their mobile phones to accomplish an array of tasks like shopping for groceries to paying bills; from watching movies to attending tutorials. And this directly implies that the demand for mobile-based applications will increase considerably in the near future. This situation also poses an important question – Is mobile app development the next big career option in India? The demand of skilled mobile app developers is increasing steadily making it a lucrative career option for the youth and is driving many people to switch careers and take a plunge into mobile app development as a profession. And this trend is not likely to change soon as India is the favored destination for app development across the world. According to a report published by the IAMAI-ICRIER published in 2015, India is going to require 20 million mobile application developers by 2020. There is no doubt that India is poised to become the next big destination for mobile app development in the near future. India is the preferred market for International firms for getting their mobile apps as there is no shortage of skilled mobile app development professionals here who are accomplished in handling the various aspects of app development. Another fact that works in favor of Indian developers is that they are considered to be dedicated and hard working professionals who have an important role in putting India on the World map in the field website and app development. Given the popularity of smartphones and tablets, mobile developers are in high demand making this among the highest paying tech jobs. 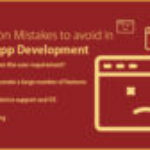 When it comes to starting your career as a mobile app developer, it’s important to understand that Android and iOS mobile developers need a mix of hard skills and soft skills. As far as technological skills go, it’s imperative for one to be versatile and able to create any sort of app for any sort of device. Good UI/UX design skills are also critical as any good iOS app development company looks for candidates with good User Experience and User Interface skills as well as the standard app developer requirements to make sure that their apps have the best chance of selling. Being familiar with front end development and a good understanding of modern programming languages like PHP, Java, HTML5 and C#, Adobe Flash Lite, Python and Objective C is also very important. 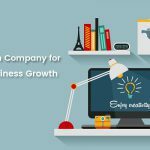 As evident, the field of mobile app has been steadily growing, both in terms of revenue as well as in terms of jobs that are being created. 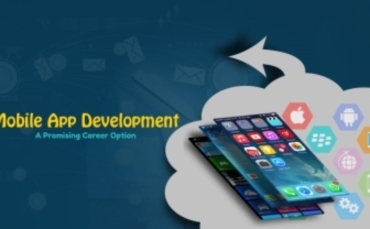 With the right set of skills and a positive approach, one can become a successful mobile app development professional and give wings to their career.